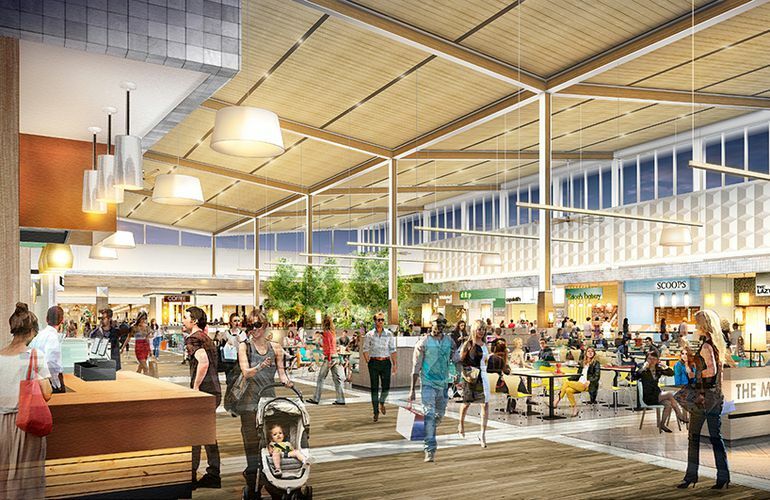 Not only is shopping a favourite activity for tourists, Premium Outlet Collection Edmonton International Airport is a "must see" destination within the capital region. It is the ideal outlet collection for your motor coach and group tours, whether it is for a full day of shopping or a stop along the way. Add the Premium Outlet Collection Edmonton International Airport to your Alberta attraction packages today and your itinerary of things to do. The Premium Outlet Collection EIA is Edmonton’s only outlet shopping centre. Enjoy a comfortable shopping experience in the fully enclosed centre. Book your group tour by completing the Online Booking Form. We will accommodate all groups with directories, however Premium Outlet Collection EIA gift cards for leaders/drivers are not guaranteed unless booking has been made 48 hours in advance. *We do not penalize groups that are unable to arrive at their scheduled booking. However, we kindly ask that you send a cancellation email to at your earliest convenience, or call Guest Services at 780-670-9888. If you would like to book a tour, please email [email protected] and we will be happy to assist you.